Apart from all the emotional suffering, an out-of-the-blue medical emergency can dig a deep hole into your lifetime savings. This is precisely why you must invest in a good health insurance policy so that you get sufficient financial aid during any kind of emergency. While a health insurance policy provides you with coverage against hospitalization costs, you might still be required to pay for it from your own pocket before raising a claim. This may not be the most ideal situation for people with no extra savings to shell out. 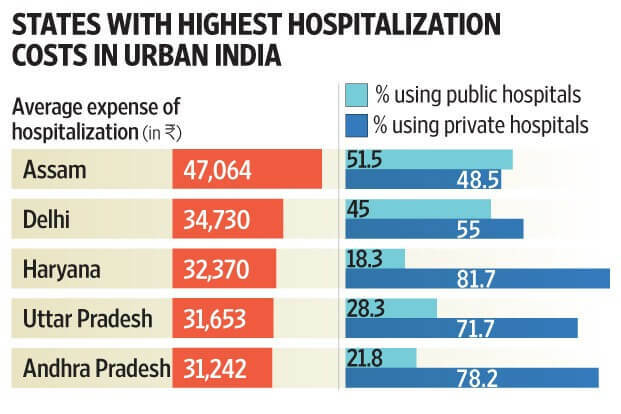 This is where cashless hospitalization acts as a saviour. With the alarming rate of inflation and upsurge in medical expense, hospitalization and it's associated treatments are becoming costlier. Unless you were born with a silver spoon, you need a proper plan to tackle any medical emergency. Health insurance policy, supplemented with cashless claim settlement, is one such element that surely needs to feature in your financial plan. In short, if you are admitted in the hospital, but do not have any emergency funds to pay off for your hospital bills, cashless hospitalization acts as your saviour. If you inform your insurance company about your hospitalization, they would directly settle the bills with the hospital rather than you having to first pay the expenses and then wait for your insurer to reimburse the money to you. Cashless health insurance policies are designed with the sole intention of providing the much-needed financial relief to the policyholder at the crucial time of hospitalization. It is an arrangement of the insurance companies and their network hospitals, where the claims are settled without involving the insured. Under this arrangement, Third Party Administrator (TPS) acts as a bridge between the hospitals and the insurance company in settling the claims. In most cases, these TPAs set up a desk at the network hospital to facilitate smooth processing of such claim requests. Cover for critical illnesses like cancer, stroke, heart attack, etc. Provides a robust corpus for medical emergencies: Medical emergencies, whether unforeseen or not, burn a hole in our pocket when we don’t financially plan for them in advance. Cashless claims are even more beneficial as it saves critical time that a patient’s family requires to arrange for hospital expenses. Instead, they can get the necessary treatments started simply by showing their cashless health insurance policy card to the relevant hospital authorities. A source of relief: A cashless health insurance policy gives you the assurance that finance would not be a concern for you, in case the need arises. You can get admission to hospitals and start the necessary treatment without any delay through a hassle free cashless claim. You can solely focus on the treatment and recovery without finance being a cause for worry. Extensive range of coverages: Cashless health insurance policies generally include comprehensive coverages like pre and post hospitalization expenses, ambulance expenses, inpatient care, domiciliary treatment, etc. Certain cashless health insurance plans also offer health check-ups and diagnostic tests at regular intervals. Safeguards your health during travels: The uncertainties of a new location often prevent you from accessing the right treatment, in case a medical emergency arises while you are traveling. Being the holder of a cashless health insurance assures you of reliable medical services at a network hospital, and that too, without the hassle of arranging for hospitalization and medical expenses. Tax benefits: Premium payments made towards cashless health insurance policies are eligible for tax benefits under Section 80D of the Income Tax Act 1961, up to Rs.25,000 for individuals below 60 years of age and up to Rs.50,000 for senior citizens. Cashless Individual Health Insurance – Cashless Individual Health Insurance policies offer cashless claims to individuals, that is the policyholder, against hospital expenses and other benefits, as per the terms and conditions of the policy. Cashless Family Health Insurance – In a Cashless Family Health Insurance plan, one can get all the members of his/her family covered by the same family health plan. The individuals in the policyholder’s family that is covered by such a cashless health insurance plan is known as ‘members’. Cashless Health Insurance for Senior Citizen – As the name suggests, this cashless health insurance plan offers covers that are especially designed for senior citizens. It covers ambulance costs, hospitalization expenditures, pre-existing diseases as specified by the policy document, etc. Apollo Munich Optima Restore Health Insurance is often considered to be the most effective and efficient cashless health insurance policy. ICICI Lombard Health Care Plus occupies the second place among health insurance companies in India that offer cashless facilities throughout their network hospitals. Religare Health Care is another cashless health policy that provides comprehensive coverage to the policyholders. Max Bupa Health Insurance policy appears next in line for the top rated health insurance policies in India. Another effective cashless health insurance policy is the Bajaj Allianz Health Insurance Family Floater plan that offers individual as well as family floater health insurance. Offers maternity benefit, new-born care, etc. Covers expenses towards hospital room rent, ICU, medicines, nursing, etc. Coverages include new born baby cover, organ transplantation, day care, partial coverage for air ambulance, etc. How Does Cashless Hospitalization Work? Health insurance companies collaborate with hospitals across locations in India to prepare a list of network hospitals. Policyholders of cashless health insurance plans, on getting hospitalized at any of these network hospitals for any medical treatment, would be eligible for availing cashless claims whenever the need arises. The medical expenses incurred up to the applicable sum insured will be paid by the relevant health insurance company directly to the hospital. Go through the cashless health insurance policy document or call the customer care number of your insurance company to become aware of the list of network hospitals. After you have decided on the network hospital where you would like to be treated, you need to fill up a pre-authorization form. You can get this form from the insurance desk at your chosen hospital or download it from the TPA website. The first section of the form has to be filled up by you, while the second half is meant for the attending physician. Complete the form with accurate details. Ensure that there is no suppression or misrepresentation of information. After submission, the hospital authorities will evaluate the authenticity of the details provided in the form. This form is then faxed to the TPA, which will either approve or reject it. If your application is approved, the TPA will send the authorization letter back to your chosen hospital, along with details about the sanctioned amount that they will provide for your medical treatment. When you require emergency medical treatment, you have to initiate the cashless health insurance facility within 24 hours of hospitalization. Show the cashless health insurance card to the relevant hospital authorities at the time of hospitalization. This card comprises of the name of your insurance company, your policy number and the type of health insurance plan that you have opted for. Fill up and submit the pre-authorization form, available at the insurance desk, after which the claim settlement process will be expedited. Under emergency medical situations, it is mandatory for the TPA to process claims within 6 hours of it being initiated by the cashless health insurance policyholder or his/her family. However, if you prefer not to wait for the approval for TPA, you can pay your hospital bills, and later initiate the claim settlement process to get your reimbursements. Sum insured – The sum insured that will be suitable for you depends on the city that you belong to. While for a small city, a sum insured of between Rs.3 lakhs and Rs.5 lakhs is believed to be a good amount, a sum of at least Rs.5 lakhs will be essential for metro cities. Claim settlement ratio: Claim settlement ratio of health insurance companies is one of the most essential factors that you should check before taking a final decision. The higher the ratio, the greater are your chances of a quick and hassle free claim settlement process. Network hospitals: Cashless health insurance can be claimed only at network hospitals of a health insurance company. Assess the list of network hospitals and check whether they include ones in and around your locality and/or the ones that you usually visit. Also, ensure that you will be able to avail cashless claims across locations in India. Pre and Post Hospitalization: There are certain medical expenditures that are incurred before and after hospitalization. These include medical check-ups and follow-ups, diagnostic tests, recovery treatments, etc. Only expenditures related to the treatment for which the individual had to be hospitalized is considered. Co-payment: Co-payment implies the pre-determined percentage of the claim amount that you have to bear, while the rest will be borne by the insurance company. This is a common clause of group and individual/family health insurance policies of most insurance companies. No Claim Bonus: Several insurance companies offer a No Claim Bonus when the cashless health insurance policyholder has not made a claim. In such an event, either the premium is reduced or the sum insured is increased or both. Day care coverage: Traditional health insurance policies make it mandatory for individuals to be hospitalized for at least 24 hours to be eligible for this coverage. However, due to advancement in medical technology there are many treatments which do not require 24 hr hospitalization and are covered under the head of Day Care Treatment. Cashless health insurance from most insurance companies include this benefit. Make sure that your cashless health insurance policy includes this feature. Maternity Benefits: Check for the waiting period for claiming maternity expenses. This will keep women covered against maternity expenses, enabling them to tide over the inflationary effects on such expenditures. Free medical check-up: It is best to opt for a cashless health insurance policy that offers free medical check-ups and diagnostic tests to make the maximum of cashless health insurance policy. Lifetime Renewal: This feature in a cashless health insurance policy eliminates the hassle of renewing it annually. The fact that it covers individuals across ages proves to be beneficial for you, especially if you have elderly dependent parents in your family. Fill a detailed claim form with all the information pertaining to the impending hospitalization. Send or Email the form to the insurance company/TPA for their approval. Post-approval, the TPA or insurance company then notifies the hospital regarding the approved amount. The TPA or insurance company directly settles the expenses with the hospital after the treatment is done. Within 24 hours of hospitalization, intimate the insurance company/TPA. Also, send along the claim form. After a detailed review of the form, the TPA/insurance company decides to approve or reject the cashless settlement request. The decision is then duly communicated to the policyholder/contact person and the treating hospital. If the request for cashless settlement is denied, you can still pay for the expenses at the hospital from your pocket and then request for reimbursement. To avail the cashless facility, it is important to send a timely intimation to the insurance company/TPA. All the necessary documentation, prescriptions and doctor's reports should be furnished, if required by the insurance company/TPA. Always share a copy of your health insurance documents and identity card with your family/friends/relative for timely use. It is mandatory to display the health insurance card at the time of admission in the hospital to avail cashless settlement. Cashless settlement of claims is purely subject to terms and conditions mentioned in the policy wordings. What's Not Covered in a Cashless Health Insurance? Expenses pertaining to diapers, oxygen masks, syringes, etc. 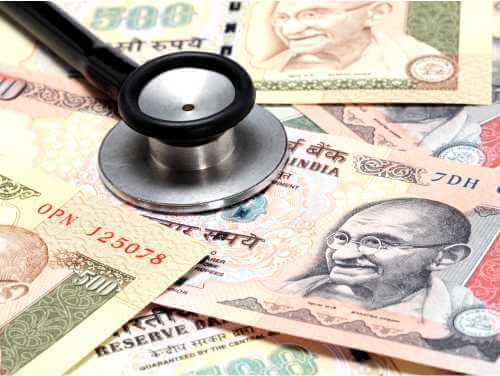 Planning to Buy a Cashless Health Insurance Policy? I live in Ajmer, how can I know the hospitals that will allow cashless treatment? The detailed list of all the network hospitals is available with your insurance company. If you have still not received the same, please contact your insurance company for an update. Simultaneously, you can also access this information through the online portal of your insurer. What could be the possible reasons for denying my request for the cashless settlement? The hospital you are seeking/planning to seek the treatment from is not part of preferred provider network. The ailment you are seeking/planning to seek the treatment for is beyond the scope of coverage of your insurance policy. The information mentioned in the request form is incomplete or insufficient. You have already used the entire sum assured for that year. Can I opt for cashless treatment for OPD Procedure? Because OPD treatments are not covered in your health insurance policy, you cannot opt for cashless treatment for them. However, if it’s a part of hospitalization that is covered by the insurance company, you can claim the amount. I am soon to deliver a baby, can I request for a cashless settlement? Congratulations and all the best! The good news is – yes, you can opt for the cashless treatment. You will have to refer to your policy wordings to check the waiting period and the scope of coverage related to maternity. I have lost my health card, can I still opt for cashless treatment? If you have lost your health card, you should intimate your insurance company/TPA as soon as possible. Further, it's entirely at the discretion of the insurance company/TPA to accept or reject your request for cashless treatment. Some TPAs/insurers allow their policyholders to proceed with treatment on the basis of KYC documents, if the health card is not available. Cashless settlement of hospitalization expenses is one of the biggest advantages of health insurance. In times, when you are already emotionally fragile, what can be more comforting than a financial respite to reduce your worries and stress? How long can I renew cashless health insurance policy for? Cashless health insurance policies can usually be renewed throughout the policyholders’ lifetime. What are the exceptions to the benefits of cashless health insurance? Costs incurred for the purchase of diapers, nebulizers, oxygen masks, etc. Is cashless health insurance different from other policies like family floater and individual health plans? Cashless health insurance is a form of payment system under which the insurance company pays the treatment expenses directly to the network hospital where treatment has taken place up to the sum insured opted under the plan. This facility of payment is available under both types of plans i.e. family floater and individual health insurance plans. What is the policy term of cashless health insurance plans? Similar to most health insurance products, cashless health insurance policies are generally offered for a standard policy tenure of 1 year. They have to be renewed annually. Some insurance companies also offer a term of 2 years or 3 years on some of their health insurance policies.